Josh Reddick is a man who likes to go all out. Besides playing baseball everyday, he absolutely loves the sport of wrestling. Because of him, he has every single Houston Astros game filled with fans yelling “Woooooo” like Ric Flair, and that includes at home or on the road. On Saturday, the Astros outfielder took his love for wrestling and combined it with his wedding when he came down with a WWE Championship belt around his waist. 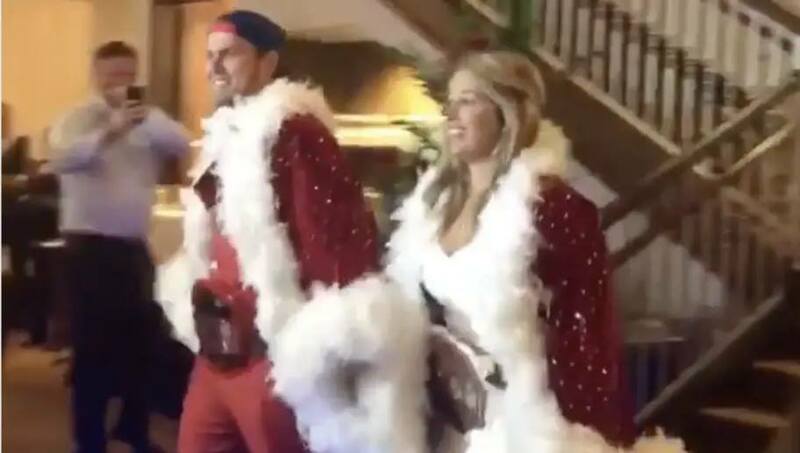 The newlyweds stole the show as they flaunted their belts around the resort at Jekyll Island in Georgia. Reddick even came out in a Spiderman suit at one point to dance on his new wife.